This is the giant, misting head you’re looking for. You know the real reason Darth Vader breathes that way? He doesn’t sleep with a humidifier. True story. 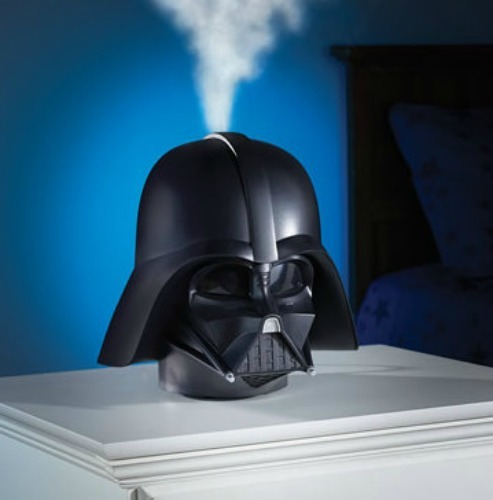 Introducing the super ironic, yet incredibly effective, Darth Vader Humidifier. Not only does it humidify the air for more than 10 hours, it also has a nightlight function, in case you’re afraid of men who wander around in giant black capes breathing weird in your bedroom at night. This would scare the daylights out of me in the middle of the night.